The UK competition authority has said a takeover of Sky by Fox is "not in the public interest". Following a referral from the Secretary of State for Digital, Culture, Media and Sport (DCMS) last year, the Competition and Markets Authority (CMA) has been investigating the deal on two grounds: media plurality and commitment to broadcasting standards. broadcasting standards in the UK. In a statement released today, the CMA has provisionally found that if the deal went ahead, as currently proposed, it is likely to operate against the public interest, leading to the Murdoch Family Trust (MFT), which controls Fox and News Corporation (News Corp), increasing its control over Sky, so that it would have too much control over news providers in the UK across all media platforms (TV, Radio, Online and Newspapers), and therefore too much influence over public opinion and the political agenda. Late last year, midway during the CMA's investigation, Disney announced a takeover of 21st Century Fox. If the deal between the two media giants completes, the CMA has admitted that it "would significantly weaken the link between the MFT and Sky which is at the root of our provisional concerns about media plurality. Consequently, on the face of it, these concerns would fall away if the Disney/Fox transaction went ahead as announced." Based on the current takeover, the CMA notes that Murdoch's news outlets are watched, read or heard by nearly a third of the UK’s population, and have a combined share of the public’s news consumption that is significantly greater than all other news providers, except the BBC and ITN. The CMA concluded that due to its control of News Corp, "the Murdoch family already has significant influence over public opinion and full ownership of Sky by Fox would strengthen this even further." 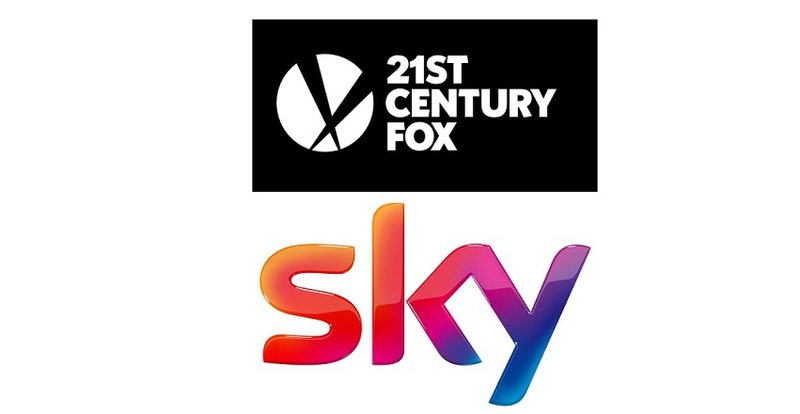 The CMA’s investigation also examined a range of evidence to understand whether Fox, Sky and the MFT have a genuine commitment to broadcasting standards in the UK. Here, it has provisionally found that Fox taking full control of Sky is not likely to operate against the public interest. Its investigation has provisionally concluded that, overall, Fox has a genuine commitment to broadcasting standards in the UK. It is an established broadcaster here, having held licences for over 20 years. The CMA took account of the policies and procedures Fox has in place to ensure broadcasting standards are met. It found that while there were issues with the compliance arrangements at Fox News when it was broadcasting its unedited simulcast international feed into the UK, this did not outweigh the detailed and effective policies and procedures that Fox has in place in relation to its UK focused channels. The CMA also provisionally found that Sky has a good record in this regard, consistently complying with broadcasting regulation. It also has comprehensive and effective policies and procedures in place to ensure broadcasting standards are met. Its investigation took account of the fact that before 2012 there were serious shortcomings at the MFT controlled newspaper the News of the World, which had failed to comply with both press standards and the law. However, News Corp has subsequently put in place processes and procedures to address these. The CMA has provisionally found that, since then, its newspapers’ record of compliance with press standards does not raise concerns. The investigation also considered the recent allegations of sexual harassment against Fox News employees in the United States, but the CMA has said that it considers that these are not directly "related to the attainment of broadcasting standards and do not call into question Fox’s or the MFT’s commitment to broadcasting standards in the UK." "Media plurality goes to the heart of our democratic process. It is very important that no group or individual should have too much control of our news media or too much power to affect the political agenda. We have provisionally found that if the Fox/Sky merger went ahead as proposed, it would be against the public interest. It would result in the Murdoch family having too much control over news providers in the UK, and too much influence over public opinion and the political agenda. Our in-depth investigation also considered whether the deal would be against the public interest regarding broadcasting standards. Due to their existing track record in the UK, and the range of policies and procedures the companies involved have in place to ensure broadcasting standards are met, we did not find public interest concerns in this regard." The CMA has now put forward a list of possible remedies, which will be carefully considered before the CMA’s report is finalised and provided to Matt Hancock, Secretary of State for Digital, Culture, Media and Sport by 1st May 2018, who will then make the final decision on the proposed deal.